I’m a day late, but that doesn’t mean there is less of a reason to party. By now this little space on the WWW has been around for 7 whole years. 7 years! If you’d told me seven years ago, this blog would still be around and I would still be doing this and enjoying it, I’d have probably told you, you were nuts. Because what started as a fun experiment because I missed writing, became so much more. This post will take a look back and a look forward when it comes to the past, present and future of this blog. 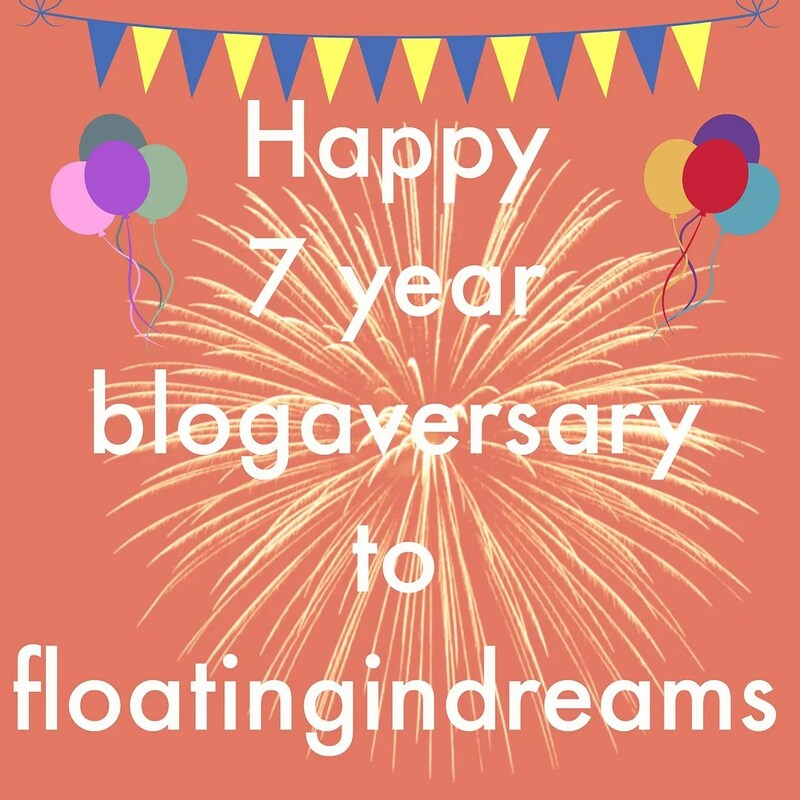 Happy birthday to… this blog! Today is the day! As of today I have been blogging for exactly one year. One year! Before I started I was afraid I couldn’t even keep a blog for a week and look at me now. I think it’s time to party and I can’t celebrate that by myself. So read on and join in on the fun. First of all, I would like to thank all of the people who have taken the time and read my posts. I had a slow start, but more and more people are reading my blog and that is something that is cool to see. So thank you for visiting, for the comments and the likes. I think if I didn’t see more people coming here that it would be a whole lot less fun to do this. Secondly, because you have all been so good to me. I think it’s time to give back. Yup. I’m advising you all to keep your eyes peeled to this spot, because some time very soon I will be having a giveaway to celebrate my one year in the blogosphere (Gee, that rhymed!). I already know what the giveaway is going to entail but I want to have the product here first so I can take some pictures and do this the proper way. Lastly, I’m also curious to know what it is that YOU would like to see more of on this blog. Because when I know what you all enjoy reading, I can see if I can fit in a few more of those blogs in the future. I can view my stats to get an idea of the posts that people view most, but what do you actually enjoy reading most? So please fill out the poll and leave a comment to give me some feedback/ specify your answer. Again, thanks for visiting. Every mouse click is greatly appreciated.